Working with A Course in Miracles all alone can be scary and frustrating. Sometimes we need human support to help us build and sustain a relationship with our Inner Teacher. Many people are perplexed as to how the forgiveness practice from the Course can be applied practically. Staying aligned with the Course while dealing with our personal issues, feelings, pain, and goals can, at times, seem contradictory or even impossible. Experiencing the benefits of A Course in Miracles is uplifting and liberating, but can also be intense and disorienting as personal identity thins away. Working with Amy helps ground you through the awakening process which, wonderfully, helps you soar higher (think of a giant oak tree — two-thirds of its roots are underground, which supports its ability to rise to the sun). Sessions with Amy offer one-on-one attention to help you clarify which is the voice of your ego and which the Holy Spirit. For instance, you can address specific Course questions, or personal issues, focus on metaphysical theory, or get help with your ACIM Workbook practice. Increase your self-awareness and Self-awareness, and in the process experience the peace, love and joy of What you really are. Sessions are held via Skype, phone or in person. Spiritual Guidance provides emotional transformation and clarifies issues about your personal life and individual curriculum. We look at the ego with the Holy Spirit and help you with the undoing process. Clarification & Insight supplies clarification of A Course in Miracles–its concepts, the spiritual experiences which occur (or wondering why they do not occur), doubts that come, and questions that arise. For some, mentoring is like having a private tutor. For others, it is like having a supportive coach. Spiritual Guidance and Clarification & Insight can, and often do, overlap. That’s why private sessions are customized to you and your issues. As I get to know you, we can be creative with exercises that suit you personally. Sometimes a session is mostly talking. Other times it involves breathwork, movement, writing, music, meditation, prayer and more. Sessions are always designed to remind you of your Source and True Identity. Private sessions are for individuals, couples, or group work (e.g., families, yoga studios, corporate dynamics, etc.). Usually a session is 45 minutes, but the time length may vary depending on your specific needs. 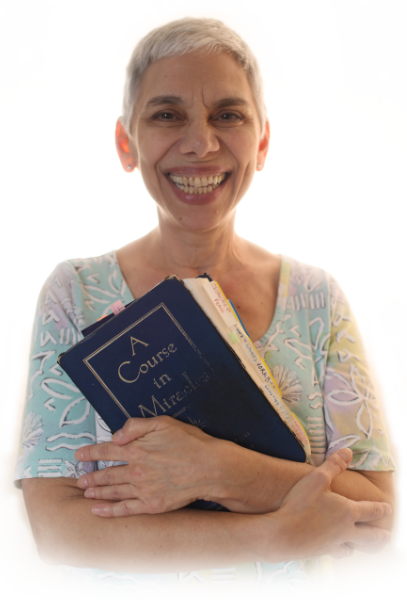 Whether you are completely new to ACIM and full of questions, a veteran student who wants to understand and experience the Course more fully, or anywhere in between, it is my pleasure and my calling to be of service to you (click here to read my bio). Together, we will clarify ACIM principles, and help you apply A Course in Miracles in your daily life. Most importantly, I’ll support you in cultivating a relationship with your Inner Teacher. I will email you within 24 hours to schedule your appointment. Click here if you cannot pay. Please read: Loving Disclaimer and Relationship with Amy.